The Bends can be bought for £6 through Eyewear, by contacting Matt via the form below or on Amazon. 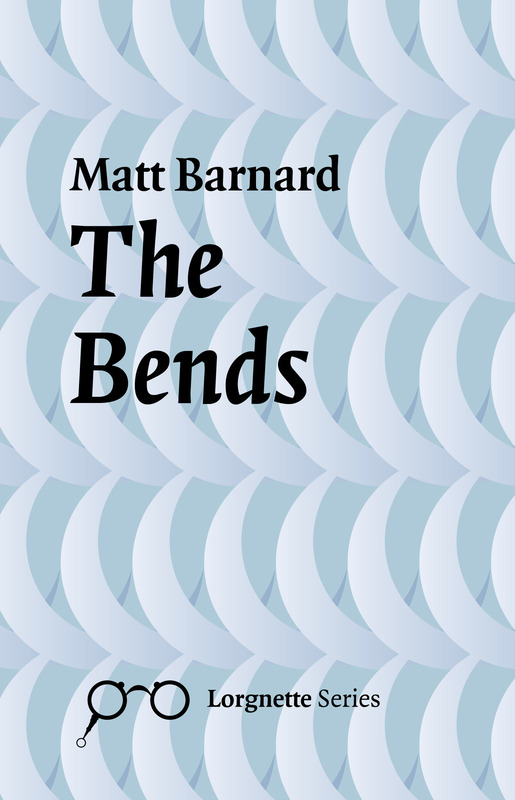 In a pamphlet that combines influences as diverse as Alice Oswald, Mimi Khalvati and Wislawa Szymborska, Matt Barnard embraces eclectism in an exploration of the wide-ranging tones and diction in the English language. These are concentrated poems, which delve below simple reproduction in order to study experience as it is represented in poetry. Observing a dog running on the beach, aeroplane flight, and religious assumptions, Barnard uses colloquial language and direct images to turn our favourite metaphors inside out. Poet and critic Joe Carrick-Varty in PN Review 242 – ‘Matt Barnard’s poems in The Bends look through unlikely eyes, and with a keen awareness. Be it an eel three days forgotten in a bucket, or the ‘Fat-bellied gibbous moon’, the perspective is never frozen, never stagnant…’ Read the full review here. Poet and critic Malcolm Bradley in Acumen 90 – ‘Matt Barnard is haunted, I somehow suspect, by the sea and its fathomless mysteries, for the wide-ranging, beautifully crafted poems in his pamphlet The Bends have a lingering smell of seaweed and brine about them…’ Read the full review here. Writer and blogger Ali Thurm – ‘Matt Barnard’s debut pamphlet is an excellent collection of eclectic poems that combine musicality with precise language…’ Read the full review here. with feathers glued to bamboo shoots, or prosthetic webbing. as the earthworm is humble. blind, deaf, mute. He knows the vengeance of birds, their iron beaks. men into its bare pantry. and be thankful for yours.